"They're coming." - "Now they're almost here." - "They're here, they're here." Then over the radio comes a strange, haunting laugh – a fatalistic, almost giddy sound that echoes with a resolved hopelessness. "Never mind now. Here I am… I'm captured." These were the final words that Lieutenant Paul L. Twomey, piloting a helicopter over the death and destruction of the Binh Gia battlefield, would hear from Sergeant Harold G. Bennett, a US Army Ranger advisor, as he, his RTO, PFC Charles E. Crafts, and his unit – the 33rd Vietnamese Ranger Battalion – were being overrun by a numerically superior Viet Cong force. The date was the 31st December 1964. It was the first time that a major VC force had stood its ground and literally annihilated several of the elite South Vietnamese military units sent against it. The significant impact of this bloody defeat on the troops of the Vietnamese armed forces was barely noted at the time. But in the months that followed both the American and the South Vietnamese military would come to realize that this action was the first sign of a changing Indochina conflict; the enemy had taken head on the South Vietnamese government's finest troops and had bested them, and for the first time he had remained on the battlefield to hold the ground that he had taken. These momentous events would mean little to Bennett and the rest of the captured rangers. But only six months later, the announcement by the Viet Cong that US Army Ranger Sergeant Harold Bennett had been executed in retaliation for the South Vietnamese government's execution of two VC terrorists, would send a chill through the hearts of other American military men serving as advisors to the South Vietnamese military units in the field. It would also shatter the hopes and dreams of the Bennett family that he would some day be released, and it would cause strong feelings of anguish and concern to the families of other American POWs and MIAs. The execution ended the life of Ranger / Paratrooper Harold G. Bennett, but not the untold story of his capture and torture he suffered prior to his death. Bennett's sojourn into the annals of Ranger history would begin on 29th December 1964, as he and his RTO, PFC Crafts, accompanied the 33rd Vietnamese Ranger Battalion (Biet Dong Quan) into the “hell” of Binh Gia. 1964 was the year of total commitment for the Communist forces in Vietnam; by then the die had been cast, and there was no longer any turning back if they were to succeed in their conquest of the South. Both the top Communist officials in Hanoi and those of the southern revolutionaries agreed on this. A step up in both the training and the fighting soon took place – mostly in the Delta – with the size of the VC forces expanding from roughly 23,000 male and female guerrillas in January 1963, to a well trained, politically motivated army of approximately 56,000 soldiers by December 1964. More and more, the intelligence maps of the South Vietnamese Military Command and MACV (Military Assistance Command Vietnam) were being covered with vast areas marked in “red” indicating enemy control. After several successful ambushes against the Saigon military forces – on 9th December an entire company of M-113 armoured personnel carriers was destroyed by the VC – and with the volatile undercurrent of political unrest at the time, the Communists made the decision to close out the year with a major military victory to commemorate the fourth anniversary of the establishment of the National Liberation Front of South Vietnam (NLF). Elements of the Viet Cong 9th Division (their first division size unit to become operational and fight in the South) were selected for this honour. Two regiments of the 9th (271st and 272nd) moved out of War Zones C & D and infiltrated into the coastal areas to receive logistical support from North Vietnam. The two units then regrouped and moved into the rubber and banana plantations surrounding the small village of Binh Gia, a strategic hamlet located about 67 Kilometres east of Saigon in Phuoc Tuy Province. The VC moved in and out of the jungles probing and harassing the local villagers and regional forces troops for several days prior to their main attack. In the predawn hours of 28th December the Viet Cong regiments, led by the 514th Battalion, made a surprise assault on the village, first overrunning the outposts that protected it. After the successful attack the Communists held their positions and reinforced with fresh troops. The villagers of Binh Gia were staunch, anti Communist Catholics, resettled from North Vietnam after 1954; they knew what it was like to live under the Hanoi regime and they made an all out effort to thwart the enemy's plans. During the South Vietnamese military's attempt to retake Binh Gia from the VC, South Vietnamese Air Force fighter/bombers and US Army helicopters were not allowed to strike the friendly village, enabling the enemy to successfully seek shelter under the numerous banana trees. So one night the villagers cut down all the trees, ruining their livelihood but denying the VC this source of concealment. Unfortunately, the spirited efforts of the population of Binh Gia to defeat the Communists was overshadowed by the military disaster which befell the government troops ordered to recapture the town. A reaction force was requested and a company of the 30th South Vietnamese Rangers was heli-lifted in to join up with a company of the 38th Rangers (Biet Dong Quan) that had been located at a sub-sector village about 3 Kilometres west of Binh Gia. On the 29th the 33rd Rangers plus another company of the 30th Rangers were brought in by helicopters to help retake the village. They were caught in an L-shaped Viet Cong ambush from dug in positions across their front and on their flank. Supported by heavy machine guns and mortars, the enemy decimated the Ranger Battalion. The next day saw the 38th Vietnamese Ranger Battalion combat assault into an area just south of Binh Gia. On the ground they immediately made contact and began counterattacking toward the village. The battle lasted most of the day with the Rangers unable to clear the enemy from their entrenched positions. In the early morning hours of the 30th, the 4th Vietnamese Marine Battalion was sent in to reinforce the Rangers. By this time the Viet Cong had withdrawn to the northeast, and the Marines with their US advisors moved into Binh Gia, encountering no enemy opposition. Later in the day a US Army helicopter attacking targets in the area was shot down ad its crew were killed. Against the counsel of his senior US Marine advisor, the 4th Battalion commander ordered one of his companies to secure the crash site and recover the bodies of the dead crewmen. However, the company was ambushed after reaching the site by a large VC force using 82mm mortars, 57mm recoilless rifles, and .50 calibre machine guns. Late in the morning on the 31st of December, the remaining three companies of the Marine Battalion went to the assistance of their beleaguered sister company, and were ambushed by a strong Communist Main Force unit of 1,200 to 1,800 soldiers after they pursued the enemy westward. By late afternoon 29 of the 4th Battalion's 35 officers, including the Battalion commander, Major Nguyen Van Nho, were dead and the 326 man Battalion had suffered extremely high losses: 112 killed, 71 wounded and 13 missing. In addition, all four of the Battalion's US Marine advisors were among the wounded, and Captain Donald G. Cook, an OJT observer from the 3rd US Marine Division, was missing in action. Unlike their usual pattern of behaviour, the Viet Cong forces this time did not slip from the battlefield during the hours of darkness. Defiantly they held the field for four days. 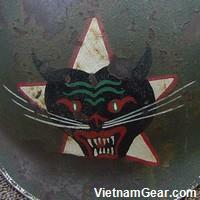 Binh Gia should have been an “eye opener” for the ARVN forces and their US advisors. For the first time Viet Cong forces had demonstrated that with adequate supplies from North Vietnam they could and would conduct large-scale ground battles with government forces. They had learned to skilfully combine guerrilla and conventional warfare into a style of warfare that would greet US military units a year later. In 1962 the US Marines developed Eagle Flights, a concept of warfare that deployed helicopter borne ARVN ground units as quick reaction forces to contact points and battle sites. On the 29th December 1964 during an eagle flight into LZ Alpha, Ranger advisor Sergeant Harold G. Bennett, didn't have a clue of the impending catastrophe awaiting him and his Vietnamese Rangers. Bennett was busy concentrating on the dense foliage beneath the flight of helicopters as the slicks – flying at tree top level – flew toward their landing zone outside Binh Gia. His RTO, PFC Charles E. Crafts, had checked the frequency on his radio and had called in for a commo check before lift-off. Both Rangers were now lost in their own thoughts as the “whup whup whup” of the chopper's rotor blades broke the eerie stillness of the sultry afternoon. It was 1400 hours when the helicopters reached the LZ. The pilot of the lead ship glanced at his map and gave the thumbs up sign as they made their final approach. Seconds later, the Vietnamese Rangers and their two US advisors leaped from the open cabin and rushed madly into the nearby cover. They were in Indian country and the Indians were there waiting. Bennett and Crafts were part of a 4 man advisory team attached to the Vietnamese 33rd Ranger Battalion located at Bien Hoa. Captain James E. Behnke and Lieutenant White were the other two American advisors. Their Battalion had been placed on alert status the day before, and now Bennett and Crafts were landing with 2nd Company comprising the first lift into Landing Zone Bravo on the second lift. He did not realize that he had seen the two enlisted members of his team for the last time. After clearing the LZ the Rangers from 2nd Company moved nearly a thousand metres towards Binh Gia. Nearing the village they made light contact and began receiving sniper fire from the enemy. Calling for the supporting gun-ships, the Rangers were preparing to assault the enemy positions when from concealed positions to their front and on their flanks a large Viet Cong force opened up with heavy and light machine gun fire. The Rangers had walked head on into a classical L shaped ambush. At the time, they failed to realize that they were engaged with regimental size units – the same regiments that would out manoeuvre and destroy the 4th Marine Battalion two days later.